When Motorola first unveiled the new RAZR family at the beginning of September, they told us that they wouldn’t be able to update all of their previously released devices to Jelly Bean (Android 4.1). Since they had too large of a portfolio and would need to leave some out of the fun, they mentioned that owners of these devices would be able to buy a new Motorola phone and then trade in their old phone for $100. They posted the list of devices, this afternoon, which we have below. So if the list of phones on the left is of those not receiving Jelly Bean, that means that the DROID Bionic and DROID 4 somehow made the list of phones in line to get it. That’s got to feel good, right? We should also point out that sources of ours said that Motorola is targeting Q1 for Android 4.1 updates for the original RAZR and RAZR MAXX, Bionic, and D4. 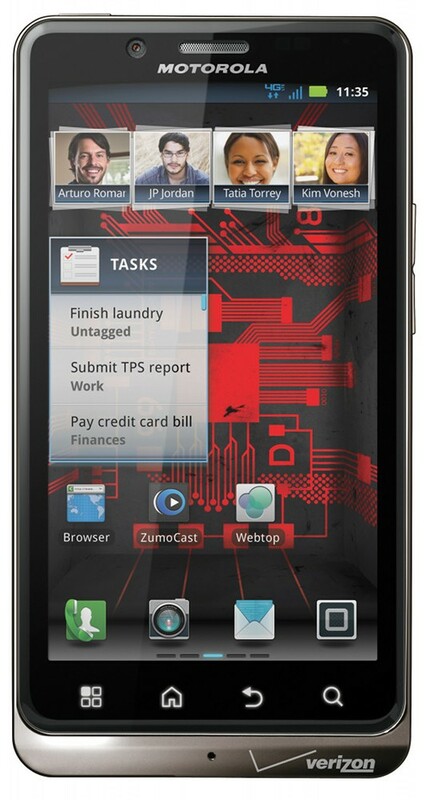 The RAZR HD and RAZR MAXX HD should see 4.1 before the end of the year. 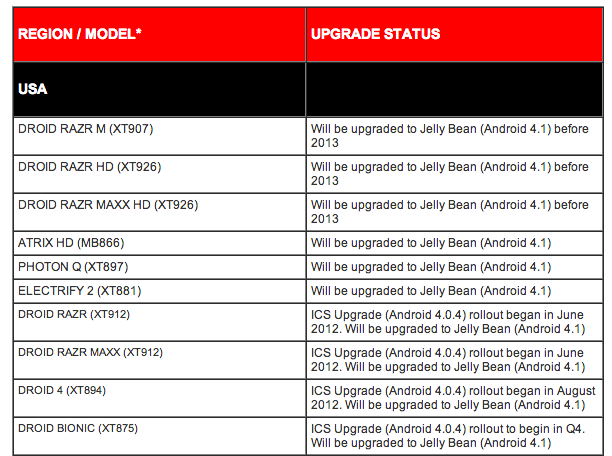 There you have it, folks, All of the new RAZRs will see Jelly Bean (Android 4.1) before the end of 2013. 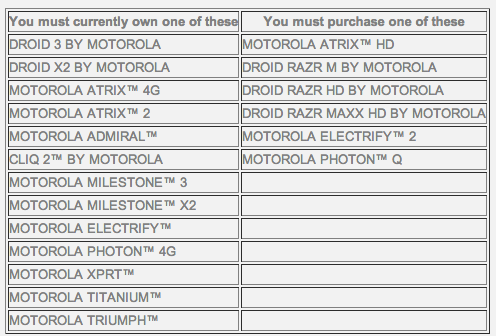 The Atrix HD, Photon Q, Electrify 2, DROID RAZR, RAZR MAXX, DROID 4, and Bionic will all receive it at some point in the future. 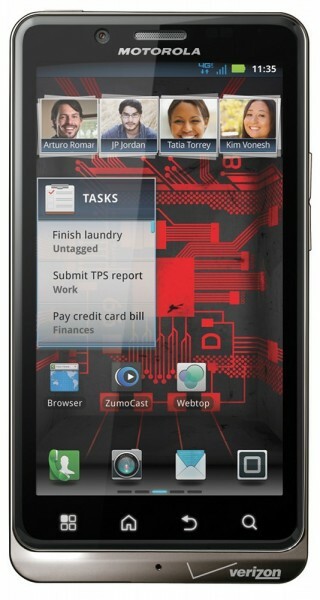 LG Spectrum Ice Cream Sandwich Update VS920ZV7 Approved by Verizon!